It’s back! 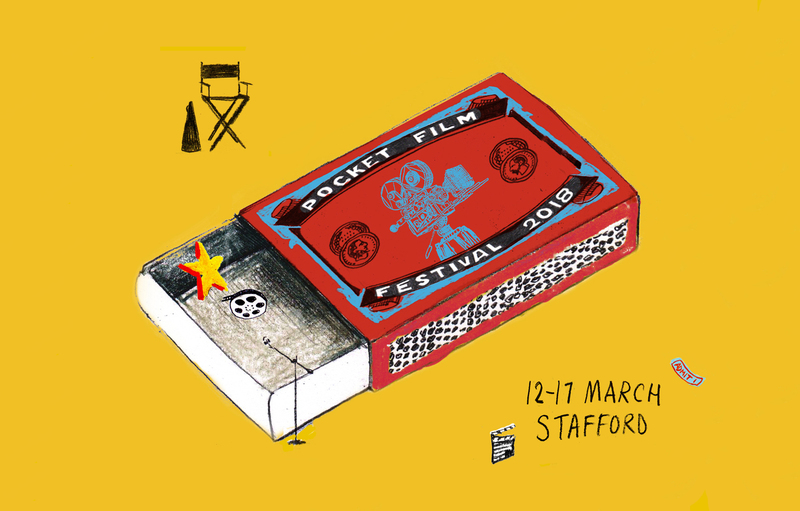 Pocket Film Festival returns to Stafford 12-17 March 2018, heading to more exciting venues with a superb selection of films in tow. 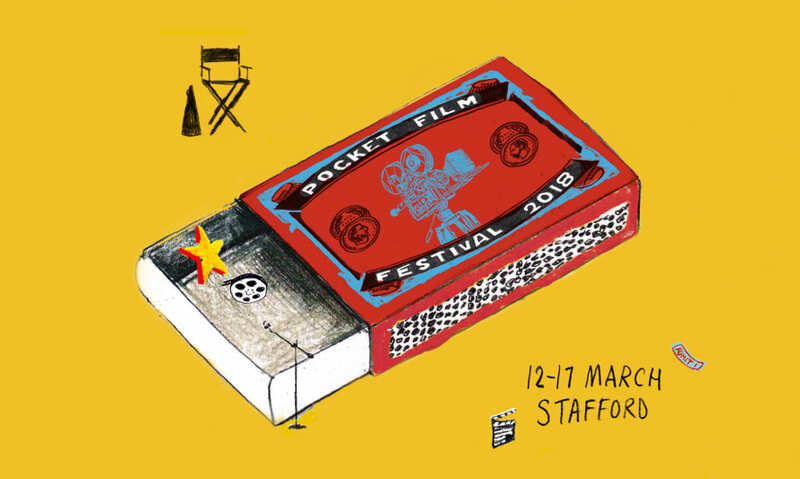 The festival kicks off on Monday 12 March with the hilarious Withnail & I at Floodgate Ale House, followed by a week of short films, archive footage, old classics and new releases, and, for the big finish, a screening of Buster Keaton’s The General accompanied by the incredible Meg Morley on piano. Take a look below for a full lowdown on all the events, and head over to the Unseen Cinema website for more info and to book. Stafford Lives: Films from the Archives Free entry Back by popular demand, Stafford Library and Number 7 will host films about life in Stafford in the 50s and 60s curated by the Media Archive for Central England. They’ll play on a loop - check with venues for exact timings. Withnail & I (15) Dir: Bruce Robinson Monday 12 March, 7.30pm Floodgate Ale House, £6 Two out of work actors go on holiday to the English countryside “by mistake” where they encounter nothing but tedium, terrifying locals and torrential rain. We reckon it’s one of the best British comedies ever made. The Florida Project (15) Dir: Sean Baker Tuesday 13 March, 7.30pm Gatehouse Theatre, £7/£6 Six-year-old Moonee (Brooklyn Prince) and her rag-tag group of friends cause havoc around their wonderland home the Magic Castle, while her mother Halley (Bria Vinaite) struggles to make ends meet, dealing with the realities of living on the impoverished fringes of paradise. Short Film Night Wednesday 14 March, 7.00pm Stone Library, Free Entry Look out for The Burden by Swedish animator Niki Lindroth von Bahr - it may possibly be the greatest short film ever made. Criminal Quilts - Artist Talk Thursday 15 March, 6.00pm Staffordshire Record Office, Free Entry Join Artist in Residence Ruth Singer for an introduction to her new developing work around the stories and images of women in the criminal justice system in the 19th century. Fury (12) Dir: Fritz Lang Thursday 15 March, 7.30pm Staffordshire Record Office, £6 When a wrongly accused prisoner barely survives a lynch mob attack and is presumed dead, he vindictively decides to fake his death and frame the mob for his supposed murder. Westworld (15) Dir: Michael Crichton Friday 16 March, 7.30pm Oddfellows Hall, £10/£8 A futuristic theme park where paying guests play out their wildest fantasies in an artificial Wild West populated by Androids. Escapist fantasy takes on a grim reality when a malfunctioning robotic gunslinger (Yul Brynner) goes haywire. The General (U) with live piano by Meg Morley Dir: Clyde Bruckman & Buster Keaton Saturday 17 March, 7.30pm St. Mary’s Church, £10/£8 Buster Keaton’s 1926 American silent comedy The General was inspired by the Great Locomotive Chase, a true story of an event that occurred during the American Civil War. Expect romance, laughs and some fantastic stunts, all accompanied by the wonderfully talented Meg Morley on piano.